Melanie Samuels is not fond of Christmas. In fact, she’s not really fond of anything that doesn’t include making her public relations firm even better than it currently is. She’s been called many things before, “cold” being the one most frequently used. Not that she cares. As long as her business is prospering, and she’s raking in profits, Melanie is as “happy” as can be. An encounter with a new potential client begins to change that. Sebastian Cameron Mackintosh doesn’t need a publicist. He’s a businessman, not a celebrity, though the paparazzi seem intent on ignoring that fact. Still, when the person who thinks he’s in dire need of one is his relentless little sister, he has no choice but to show up to the appointment. Expecting a short and boring meeting, Cameron is instead intrigued by the cool, stoic Melanie Samuels, owner of the MS Agency. Within days, intrigue turns to more, and before long, Cameron is completely smitten with her. 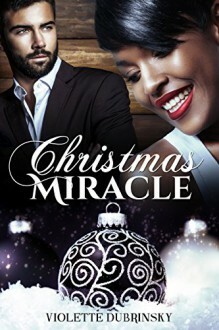 All he has to do is convince Melanie Samuels to take a chance and trust him.